Disclaimer: I'm not a Christian, and I don't really celebrate Christmas. Many of my family members do. I celebrate in a more classic "Yule" way. However, if this is the season of "giving" then why are the only people profiting mega-corporations. Before you go spend your entire paycheck at a department store on gifts that inevitably will end up in a closet or broken, consider charitable giving. This year I'm using 3 charities for all of my gift giving. I used WWF to "adopt" my friends and family their favorite animals, with the exception of my mother, who's adoption of "Fife" I renewed through Whales.org. World Wildlife federation has a 3/4 star rating on Charity Navigator. I also buy loved ones gifts by donations to the Heifer Project. There are 100s of other charities that will send your loved one a symbol of your donation in their name. If you have questions about which one might match your passions or someone else's please don't hesitate to reach out. Obviously, who else would ever rank number 1? Naley teaches us that love really can last forever. Despite the trials and tribulations of their relationship they always stay true to one another, and in doing so they achieve their dreams. I shipped them from episode 1. So... obviously up there on my list. They may have taken the long way around to their "happy ending" but I for one am happy they ended up together. Even though they didn't end up together they were still an amazing couple. Everybody needs somebody to save them sometimes. Even the almighty Brooke Davis. These two were a definite power couple. While not the end game for Peyton, Julian was atleast a decent boyfriend. How long does it take to find a client's phone number? If this is more than a few seconds you may want to consider bringing on an IT partner to help streamline this process. If a case file isn't in your filing cabinet, can you access it immediately online? If not you may want to discuss cloud solutions with your IT provider. Is it easy to find all relevant emails and correspondence between yourself and your clients, and tie them to the appropriate case? You may want to discuss email archiving, and which product is best for you with a neutral third party, IE your Managed Services Provider. Lack of Security- The main reason a law firm invests in IT is to keep data safe and secure. While your practice management system may not be particularly valuable on a single day it becomes more valuable over time as you enter more data into it. If you lose that data or experience down-time, your investment becomes moot and can have other considerable financial repercussions. Talent Retention - In today's modern society employees care about IT solutions that make their jobs easier. You need products and processes that blend well with your employees' personal and professional lifestyles. Young innovators are key to business success and lackluster technology can repel prospective employees. Waste - From the automation of monitor sleep times to defragging at the right time of day to digitizing your library. We can help you cut down on your offices waste. You need an IT partner that provides creative solutions allowing you to work smarter. So What IS Managed Services and how can we help? Think of us as the invisible force behind your business. Rarely seen, but always active diagnosing problems that was about to happen, and resolving them BEFORE they turn into monumental issues. The entire basis of the managed services model is that our business is more profitable and performs better the less problems you have. That means that we put 110% of our effort into stopping problems before they even exist. We are an IT management program that delivers proactive maintenance and monitoring alongside management of your software and hardware. You take care of the legal stuff, and we make sure your technology is helping rather than hurting your business. We make it our job to resolve network issues before they affect your firm's productivity. This has been an introduction to managed services. There are many different kinds of managed services that are important to your practice and I look forward to focusing on each of them in the coming months to better explain how to choose the best MSP for you. If you'd like to see a testimonial from one of our legal offices you can do so here. While TaylorWorks is not the solution for every law firm, we'd love the opportunity to check out your network, and see if we might be the managed services company for the job. You can request a meeting here. "If it’s true that our species is alone in the universe, then I’d have to say the universe aimed rather low and settled for very little." "The IQ and the life expectancy of the average American recently passed each other in opposite directions." "Most people work just hard enough not to get fired and get paid just enough money not to quit." Johnson said that Carey is one of the several celebrities who have expressed their support for him, even if many are not yet willing to do so publicly. Johnson had just arrived on the West Coast from Cleveland, where he said he spent the week giving over 70 interviews and had upwards of 500 people come up to him to pledge their support, including some delegates who were decked out in Trump gear. He is still holding out for the type of game-changing endorsement that could launch him beyond the 15 percent threshold in polls and put him on the general election debate stage. Carey was initially approached by the Johnson campaign to host a fundraiser at a bar or restaurant in Los Angeles. But instead, he offered to do it at his home in the Hollywood Hills. “I throw a good party,” he said. The comedian spent the evening strolling the grounds, mingling with guests and pulling out his signature black-framed glasses only for selfies. I'm glad to have you on our team Drew! Congress has been debating the merits of adding women into Selective Service to be drafted with men during times of national emergency. Kentucky's Senator Rand Paul suggests that it would be better to just end the draft. "The draft is simply slavery by another name. Drafting people to go abroad and kill or be killed is barbaric and a discredit to our military and country," said Nicholas Sarwark, chair of the Libertarian National Committee. If a national emergency is so severe to merit mobilizing extra troops, Americans from all backgrounds, ages, and genders should pitch in to do what is needed. However, this should not be forced. It is an insult to the idea of a "free country". The draft, whether for military purposes or some form of “national service,” violates the basic moral principles of individual liberty upon which this country was founded. Furthermore, the military neither wants nor needs a draft. The Libertarian Party urges elected leaders to end the draft and also to pursue foreign policy which is less dependent on military might. The money we spend annually on our military is a waste, when we have a presence in foreign conflicts. Economic hardship is great in all wars. 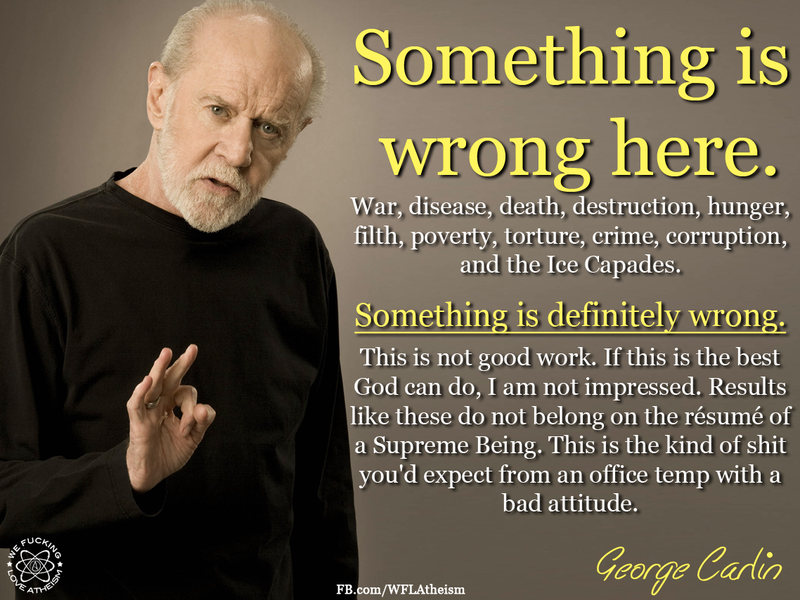 War is never economically beneficial except for those in position to profit from war expenditures. The great tragedy of war is that it enables the careless disregard for civil liberties of our own people. Abuses of German and Japanese Americans in World War I and World War II are well known. The real sacrifice comes with conscription ­forcing a small number of young citizens to fight the wars that older men and women promote. It's easy to promote a war for your own glory when you aren't the one being shot at. 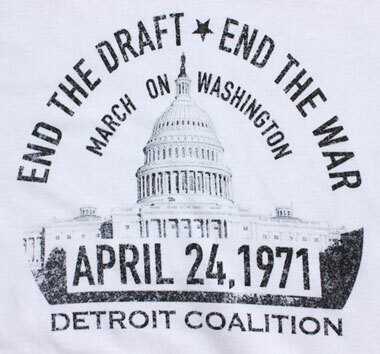 The draft encourages wars with neither purpose nor moral justification, wars that too often are not even declared by the Congress. after the draft was undermined. Most importantly, liberty cannot be preserved by tyranny. A free society must always resort to volunteers. Tyrants think nothing of forcing men to fight and serve in wrongheaded wars. A true fight for survival and defense of America would elicit the defense of those who love her. This is not the case with wars of mischief far away from home, which we have experienced often in the past century. The United States has many tools of foreign policy at our disposal that do not require force. Military force should always be a last resort and only in defense. The Libertarian Party is the only political party in America devoted to protecting all rights, of all human beings, all the time. The Libertarian Party also strongly condemns the use of force except in self defense. There are things that I wish were different about Just Cause 3. I wish there was a sprint button. I wish the aiming wasn’t such dirt. I wish that the writing and mission design weren’t so inconsistent, weird, and just plain bad. I wish that it gave you more ammo for rocket launchers, sooner. I wish the load times weren’t so excruciating. I wish that the game didn’t slow down so much when the screen fills with explosions. I really wish that it didn't slow me to being incapacitated when I'm hurt. I'd rather just die and respawn already. So... the explosions are amazing. If you're suppressing an inner destructive beast I highly recommend unleashing them on this game. The story line isn't the best I've ever experienced, but it's certainly good enough to keep me involved in the game on a level beyond just wreaking havoc. It's got a great soundtrack. The multiplayer competition piece is actually really cool. I love seeing myself slide up the rankings when I get a new "personal best" on any task. In an industry lousy with open world games, Just Cause 3 may be the only recent release that truly qualifies as a sandbox. You are Rico Rodriguez, the mildly charming, near-invincible protagonist with a nice pair of boots that I’ve been trying to replicate in reality. You’ve returned to your fictional home of Medici, a Mediterranean archipelago held captive under a brutal dictator’s thumb. After a short intro mission that starts with you firing RPGs standing on top of a biplane, you’re free to wander. And that’s what you’ll want to do. The game’s heart lies in its pitch-perfect realization of screwing around, loosely organized around liberating Medici. If you go looking for more structure than that, you’ll hopefully wind up playing a different game. You spend your time, throwing grenades and watching the insane domino of massive explosions, calmly parachuting around a picturesque village firing rockets at loudspeakers, tethering weird things together and watching what happens, wing suiting through caverns and grappling into helicopters. You spend your time doing whatever it is you feel like. So in summation, while others might not love the game, myself and my husband both enjoy it a lot. Another Libertarian has announced plans to run for U.S. Senate in Florida. Paul Stanton announced that he will place his name on the Libertarian primary ballot, joining fellow candidate Augustus Sol Invictus. Personally, while I always vote for a Libertarian on the ballot if there's one available, I couldn't bring myself to vote for the circus act that is Invictus. So for me, this is good news. Stanton seems like a much more reasonable option for Libertarians looking to vote in a Senator. According to Independent Political Report's Tom Knapp, Stanton says he has the resources to qualify for the ballot. Paul Stanton is honored to run as a candidate to represent the State of Florida in the U.S. Senate. A world-traveled individual, Paul has been living in Florida after serving in the U.S. Army and roaming the continental U.S. as an information technology specialist. After six years of service and a tour of duty in Iraq, Paul received his honorable discharge from the U.S. Army and immediately adopted a philosophy of responsible service to community. He was the founding member of the Indiana University-Purdue University Fort Wayne Students Against War organization and led protests against violence and interventionism in Iraq and Afghanistan. At one point he even sued the airport for the right to protest the use of overly-invasive body scanners in airports. As your Senator, he will fight for the rights of everyday citizens to preserve the freedoms that are quickly being eroded by corrupt partisan politics. surrounded by family, friends, and neighbors who are proud to call him one of their own. According to his Twitter, @StantonForLiberty, his stance can be simplified into "Anti-violence, anti-coercion, anti-fraud". So what does this mean, and where does he stand on the issues? Businesses leave the United States for a multitude of reasons, one of which, is corporate taxation. While corporate taxation can contribute to stifling business and job growth, this is especially true for small businesses. Large corporations are actually in a much better position to handle taxation because of their ability to pay it and/or move operations offshore as to avoid the taxation. Small businesses that are incorporated and looking to grow are not awarded those same privileges. The first step to fostering competition is producing a more free market with lower government intrusion and taxation for small businesses. If elected, I will propose to cut taxes for companies with less than $500,000 in revenue completely, and work to reduce taxation for all businesses as much as possible. This reduction for small businesses is a positive first step, as small businesses will be able to take that saved money and invest it in growing their business and expanding the economy. In addition to lowering tax rates for small businesses as a first step to reducing taxation for businesses across the board, I will work to eliminate the taxation on repatriated profits from overseas. There is over $2.1 trillion dollars sitting overseas that should be in the United States if it were not due to our tax policies. I will work to bring those dollars back here so they can be invested and help grow the economy. The “War On Drugs,” has become a device through which those in power have taken our liberties from us, and provide only fear and oppression in return. By bringing this war to an end, we will be able to remove the roadblocks that prevent addicts from getting help, and end the pattern of selectively-enforced felony convictions created by the “War on Drugs” that oppress minorities, the poor, and those not well connected, and that encourage drug users to retreat in fear from their families, their aspirations. To this end, I support the immediate decriminalization of all drugs, the end of mandatory-minimum sentencing for drug-related offenses, and the end of policies that mandate costly and ineffective drug testing for recipients of welfare and other forms of government aid. I also support reducing tax burdens for private rehabilitation programs in order to make them affordable for more people, and to protect the privacy of those suffering from drug addiction. Additionally, I support returning the right to vote nation-wide to those convicted of nonviolent drug-related offenses. While many politicians pay lip service to helping the poor and disadvantaged, the policies they have put in place actually look more like a war on the poor than a war on poverty. Creating opportunities for all Americans, especially the most marginalized in society, must be a priority. Instead, the focus of policymakers has been on creating a system by which the rich are able to socialize their losses across society at the expense of the poor and working class. We must have a strong economy that provides opportunities for Americans from every walk of life, not just the corporate elite. The first step that should be taken is to eliminate FICA taxes for all workers under the poverty line. While this will certainly help the individual worker, this will also help employers and encourage job growth. The disenfranchised in society also rely heavily on government services that often produce more waste than results. Direct charitable help to the poor should be encouraged, and this can be done by instituting a dollar for dollar tax rebate for charitable donations. This will help eliminate a lot of the waste that is incurred by federal programs designed to provide services to the poor, while also encouraging individuals to be more charitable. In order to create opportunities to tackle poverty, we must foster the environment that allows small businesses to thrive. I will work to cut down the bureaucracy instituted by many federal agencies that price small businesses out of the market. The federal government stifles jobs by forcing regulations crafted by the corporate elite that help large corporations push small businesses out of competition. So while politicians will try and sell every regulation as protection of the individual, often times they protect monopoly like conditions for big corporations. In addition, while lowering taxes for all businesses should also be a priority, we need to start with eliminating the corporate tax for small businesses so they can invest in their businesses and their communities. In addition, eliminating taxation on repatriated profits from overseas could potentially bring over $2.1 trillion sitting overseas back to the United States. One of the largest problems facing all Americans is the symbiotic relationship between the federal government and big business. Crony policies, such as corporate bailouts, contribute to massive inequality within our country. In addition to bailouts, subsidies pick winners and losers in the economy, distorting the market. In the case of energy subsidies, they can even have an effect on the environment. I will work to reform crony policies, that again, only go to serving the small minority of corporate elite at the cost of the working class and working poor. We must build a truly free market system in which businesses succeed and fail on their own accord, not by government favors and contributions. The current policies set in place do more harm than good exacerbating inequality and choking off innovation and growth. We must work to make these changes to truly lift people out of poverty by providing the conditions necessary for a successful economy to thrive. A truly free market with less government intervention in the marketplace and less pressure on the poor can produce not only a stronger economy, but a more equitable society. We can certainly not guarantee equality of result through government intervention, but we must work to provide equality of power to all individuals to empower those currently marginalized to produce a better life for themselves and their families. The market is not what is wrong with the United States economy, but the perversion of the market in favor of a government owned by big business in a symbiotic relationship between the two. Large corporations lobby government and contribute large sums of money to campaigns in order to have their bills passed through congress. Many regulations are made not to protect the consumer, but to protect big business from competition. Competition is what makes the market work, and without it, monopolistic conditions rise that distort the market and further inequality. We should not fight against calls for equality because many of the solutions presented by the current duopoly involve the state, but we should recognize that inequality and, in many cases, poverty are caused by crony policies that seek to give an advantage to one business over another. One large aspect of cronyism was on full display for the economic crash in 2009. The Federal Government took unprecedented measures to bail out large financial firms that were seen as too big to fail. The result was years of mal-investment in the real estate sector subsidized by the Federal Reserve’s low interest rate policies was not allowed to be properly liquidated in the marketplace and the risk taken on by these firms was rewarded. This is a major diversion from the free market. I am in favor of free market policies that allow businesses to grow and thrive, as well as fail when they take on too much risk or function ineffectively. The federal government should not be in the business of propping up failed firms in the economy. There is a long history within the United States of strong opposition to the establishment of a national bank, and that battle lives on today. The Federal Reserve has devalued our currency through quantitative easing and low interest rate policies, erasing the savings of many hardworking Americans. Loose monetary policy has been an aid to a growing federal government, using the funds for wars and bailouts. I advocate a complete and full audit of the Federal Reserve as a first step to bring transparency to an organization that largely operates in the shadows. We must challenge the notion that artificial bubbles created by easy money policies will be solved by more easy money policies when the bubbles finally burst. Interest rates are meant to be set in the marketplace, and currency is meant to hold intrinsic value. Today, our currency is backed by nothing more than the promise of the federal government there is value. I will work to deregulate the monetary system as to allow multiple currencies to compete with each other. This system will greatly reflect the market for credit cards, with different banks offering different banknotes. Ultimately, competition will foster the stronger currencies to trump the weaker currencies. The marketplace should determine the value of the currency and that cannot be done as long as the Federal Reserve maintains a monopoly on our monetary system. As such, we must recognize the rise of bitcoin and other digital currencies and reject calls for government oversight and regulation. If we believe in the free market of goods and services that helped grow the United States into one of the largest industrial nations in the world, we must recognize that the free market in interest rates and currency must be reestablished. As an Iraq War combat veteran, I have seen that our military ventures overseas have not brought us greater liberty or safety. Instead, they have bred resentment and hatred of our policy overseas, and have provided a convenient pretext for those in power to chip away at our civil liberties. In an ever changing world politically, socially, economically, and technologically our current policy of military interventionism is a costly and dangerous heavy hand to use to confront real and potential threats to American safety. Not only is it costly in dollar value, with military spending comprising over half of the federal discretionary spending budget, but it is also costly in political capital. Frequently our nation has been criticized for imperialism at home and abroad. Too often Congress has been able to use the threat of terrorism as an excuse to erode liberty by suspending constitutional rights. I think we, as a nation, are weary of costly, prolonged, and fruitless military campaigns overseas. Our foreign policy is also costly in human lives, and the goodwill of those we claim to be trying to help. During my tour in Iraq, my friend and fellow soldier shared an epiphany he had that one cannot win the hearts and minds of anyone, friends or foes, while pointing a gun at them. Rather it closes the minds of those who may have once welcomed the idea of American aid and fosters the distrust, fear, and anger that terrorism and other violent ideologies thrive on. This negative sentiment abroad is pushed further with our growing policy of using drones to “selectively target” suspected enemies. News and social media has been flooded with reports of military drones killing and maiming thousands of civilians in Iraq, Pakistan, Yemen, and elsewhere. These are people that often had no connection to terrorism. Violence begets violence. This is not conducive to creating a more stable, peaceful world wherein everyone can have a greater opportunity to prosper. I stand behind promoting foreign policy that focuses on compassion and understanding. The reality of threats to the security of American citizens should not be justification for the wanton use of military intervention or the erosion of our civil liberty. I support and will work towards the reduction of our military presence overseas in an effort to promote diplomatic solutions and encourage the return to a positive view of America, globally and domestically. I will strive to end our reckless use of drones overseas that have tragically killed so many innocent people (including the Denver-born American child, Abdulrahman Anwar al-Awlaki) in the name of fighting terrorism. And I will endeavor to rebuild the bulwark protecting our freedom that has been torn down by claims of national security. The United States government made a promise to workers to provide social security benefits in retirement, and that promise must be kept for retirees and those that have significantly paid into the system. The government’s promise has essentially made many retirees dependent on the current system, and we cannot break those promises to retirees. We must work to make the social security system solvent again, though, instead of using appropriated funds for general government spending. In addition, we must explore different options for young workers that may be a more efficient system. One aspect of social security that needs to be addressed is the double taxation of social security benefits. Social security contributions are taxed and then payments to retirees are taxed again. This system of taxation makes no sense and reduces benefits to seniors who we have already committed to. Even more than that, though, this taxation of social security benefits allows the Federal Government to appropriate social security money to other parts of the government. I will work hard to end this system of double taxation. Paul Ryan "isn't ready" to endorse Donald Trump. When asked why not just endorse Trump now, Ryan said he wanted to have a "sincere deliberative process" to discuss common GOP principles. Kevin McCarthy has become a delegate for Donald Trump. Steve Scalise is endorsing Trump. Cathy McMorris Rodgers, the top female House Representative, is endorsing Trump. Luke Messer has spoken against Trump repeatedly, calling him racist and childish. Nancy Pelosi claims the timing "isn't right" for endorsing Hillary. Steny Hoyer has endorsed Hillary as the "tougher foe" against the GOP. James Clyborn is endorsing Hillary. Xavier Becerra heavily endorsed Hillary and was at one point rumored to be vetted as her VP. Based on the public opinions of the top-ranking members of the House, it looks as though the parties are split on their stance on the presumptive nominees. For Gary Johnson, and any other third party nominee, this is good news. It presents the opportunity for a 3rd party candidate to be elected by the House if neither bi-partisan candidate can win the popular vote. News is coming in from across the country reporting Gary on the ballot officially. Vermont and Illinois are among those verifying his slot. Johnson himself has come forward to state he will be on the ballot in all 50 states. So what does this mean for those of us backing the LP ticket this year? 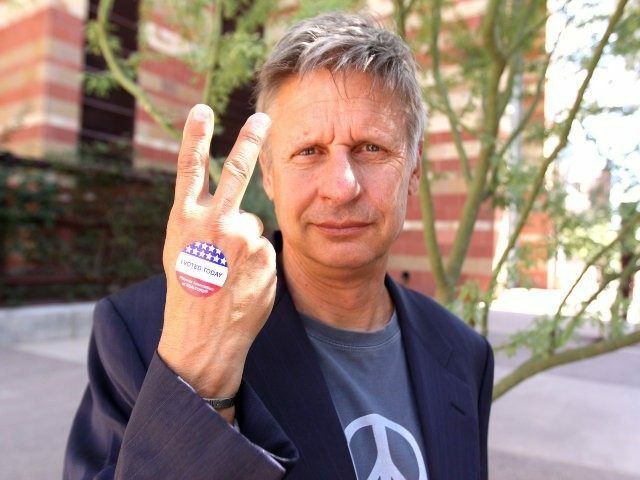 It's been said in the past that if Gary can win his home state of New Mexico that he has a chance at the presidency. Emerging polls indicate that Johnson could not only win electoral votes (something that independent candidate Ross Perot never achieved, despite winning nearly 19% of the popular vote in 1992), but could also—in admittedly extraordinary, but nonetheless possible, circumstances—win the presidency itself. Some may scoff at this idea since even 12% in the latest Fox News poll seems a long way from victory, and it is. But naysayers are forgetting that Johnson’s target isn’t 50% plus one, as is the case in most two-way races. Trump and Clinton are polling in the 20’s and 30’s when respondents are specifically offered Johnson as an alternative, meaning he could win a state with as little as 34% of the vote, or thereabouts. Johnson is polling especially well in Utah, one of the few states to show us more localized results. The 1,519 registered voters were first asked about Trump and Clinton, as well as a generic “other” option. 36% chose Trump, 29% Clinton, and 35% other. That alone is promising; considering the 2.5% margin of error, “other” could win Utah. But when respondents were offered Gary Johnson in addition to “other,” support for Trump and Clinton dropped to 29% and 26%, respectively, 16% chose Johnson, and 29% other, for a total of 45% who claim they’d vote for someone other than Trump or Clinton today. Even assuming that some will grudgingly vote for them when push comes to shove, these are the kind of numbers that could precede a third-party victory, particularly considering the possibility that Mitt Romney might endorse Johnson. If Utah’s six electoral votes go to Gary, that alone could deprive both Trump and Clinton of the 270 required to win outright, though, of course, that would depend on the outcome in swing states. If he managed to win a couple of other states—even states with few electoral votes, like New Mexico (his home state) and Nevada—a House election would be much more likely. In which case, the vote would go to the House. You might jump to the conclusion that the conservative/republican House would vote Donald Trump, the presumptive nominee of the Republican Party. However, considering how many Republican insiders already want to dump Trump, as well as the certainty that he will continue to anger and embarrass them between now and November, it’s entirely possible that a two-term Republican governor will be their first choice by then. Factor in the possibility of Clinton being indicted or rocked by some new scandal, and the notion that a majority could back Johnson doesn’t seem as ridiculous as it might have had he faced different opponents. So, if Johnson/Weld hasn't been announced as "officially" on the ballot in your state, keep fighting, you can turn the tide. He may be the "underdog" but he's no fringe candidate. Let's get him in the debates and on the ballot. The world is a darker place this morning. We have lost one of the lights of the Libertarian Party, Dr. Marc Allan Feldman. My deepest condolences go out to his family on their loss. I had the privilege of working with Dr. Feldman on the Libertarian National Committee. After growing up in Washington, D.C., cynical about politics and politicians, he spent most of his adult life not even voting. In the Libertarian Party, he found a politics of empowering people to be their best selves, free from the control of governments and bureaucrats. It spoke to him in a way that awakened something. He was tireless and dedicated to sharing that vision with everyone he met, but most importantly, with those who didn't participate, didn't vote, and didn't have a voice. As many of you may know Feldman was the 5th place Libertarian Finisher. He was born in Washington, DC. He graduated from Northwestern University in 1980 with a degree in Philosophy, before moving on to complete medical training at the prestigious Johns Hopkins School of Medicine. He earned his Master's degree in Health Finance and Management from the Johns Hopkins School of Public Health, and practiced anesthesiology there for 11 years. He is a lifetime member of the Delta Omega public health honor society. It is my hope that we may find solace in his last words to us as a party, and that we may move forward together as one. Despite a few knocks from Weld, they stuck to the issues and didn't stoop to name calling and personal attacks. Johnson abstained when given the chance to personally knock Trump and Clinton. When asked about President Barack Obama, Johnson called him "a good guy." He said Clinton was "a wonderful public servant." And Trump? "I'm sure there's something good to say about Donald somewhere." Not so much for Weld, who called Trump a "huckster" and repeated a comparison he had made previously between Trump's immigration plan and Nazi Germany. "I think the Republican presumptive nominee has succeeded in tapping into the very worst political traditions and in other countries," Weld said, adding that Trump's deportation plan was "directly analogous" to "Anne Frank hiding in the attic hoping no noise will alert the Nazis below." Their stance on gun control became more clear. Johnson has been a staunch advocate of Second Amendment rights but said he was open to a "discussion" around solutions to incidences of gun violence. Johnson told Jeanette McCoy, a survivor of the Orlando shooting: "We're not looking to roll back anything" on existing gun regulations, adding that he would look into law enforcement solutions. "The FBI came in contact with this guy (the Orlando shooter) three times. What transpired? Why wasn't this guy deprived of his guns?" Johnson asked. Weld called for "a thousand-person FBI task force treating ISIS as a gigantic organized crime family." They also cleared up any questions we might have had about their views on abortion. Johnson and Weld also both affirmed their abortion rights positions. Johnson said Republicans "alienate a lot of people" when they attack Planned Parenthood, a women's health organization that provides abortion procedures. "We're not looking to change the law of the land in any way," Johnson said. Above and beyond that Bill Weld stated that he believed the federal government should be protecting a woman's constitutional right to make that decision (about abortion) herself. He stated "That's not bad government. That's good government." Making it clear to me that while they both want a smaller centralized federal government they WILL go to bat to protect the rights of American citizens against the states if necessary. They both agreed Trump's stance on immigration is ludicrous. They both had harsh words for Trump on immigration, leveling some of their strongest language against the Republican presumptive nominee. Johnson, a former border governor, called Trump's calls for the deportation of all undocumented immigrants and the erection of a border wall "incendiary," and bordering on "insanity." "The Republican presumptive nominee has succeeded in tapping into the very worst political traditions of the United States and other countries," Weld said. He added that images of the Holocaust, including "Anne Frank hiding in the attic" was "directly analogous" to Trump's deportation policy. Johnson went on to state that the deportation of 11 million people would probably include door knocking and in border states that would mean taking people out of every other house. Stupid personal questions make for difficult answers. Maureen Morella, an undecided voter, brought up the struggle her family had with her son's heroin overdose and took issue with Johnson's laissez faire approach to drug policy. Johnson pushed back on her concerns, saying government regulations had harmed drug addicts more than his policies would. "Prohibition really is what your son succumbed to," Johnson said in a somewhat awkward response to her personal question. He advocated a series of harm prevention programs, including needle exchanges and safe-injection zones. In response, Morella said: "You're keeping people addicted." "We have the best policies in this country to kill heroin addicts," Johnson said, pushing for another way forward on drugs. If I had been the one answering that question I would have asked Morella if she thought her son should also be in jail after the harm drugs had done to him. Since that's what we're really talking about here, is jailing people for crimes that have already hurt them and their families. It is my opinion that the war on drugs has done nothing but fill jail cells and cost the taxpayers money that could be better spent on rehabilitation and treatment. There's a bit of descent between Weld and Johnson on Tax Reform. Johnson, who has often repeated the Libertarian refrain that "taxation is theft," advocated for radical reform of the U.S. tax code. "Count on me to sign on tax policy that would reduce or simplify taxes in this country," Johnson said. "But If I could wave a magic wand, I would eliminate income tax, I would eliminate corporate tax, I would abolish the IRS and I would replace it all with one federal consumption tax." The presidential candidate advocated a conservative plan known as Fair Tax, but pressed for specifics, said he would support any such reform so long as it was "revenue neutral." Adding to his anti-Washington message, he said a total simplification of the U.S. tax code would mean that "80% of Washington lobbyists would go away. Because that's why they're there, to garner special tax favor." Weld said: "I don't think you have to go so far as abolishing the IRS," as long as they could give people the sense that tax rates would go down. In defense of them both, neither of them ever raised taxes during their time as Governor. Weld especially completely turned around Massachusetts financial crisis by lowering taxes across the board. When asked what the greatest hurtle facing them in their candidacy was, they both answered publicity. 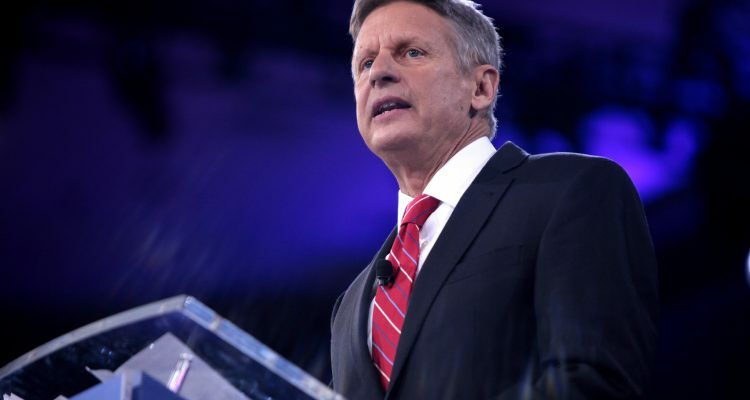 Johnson ran as a Libertarian in 2012 and failed to gain much traction. This time around, he's running with Weld, which may help add credibility, attention and fundraising prowess to a perennial long-shot White House effort. Already, Johnson has shown his candidacy could have potency given voter disappointment in Trump and Clinton. A CNN/ORC poll released Tuesday showed Johnson earning 9% support nationwide and likely Green Party nominee Jill Stein pulling 7% support among registered voters. Among those voters who say they are not settled on a candidate in the two-way race, more than one-third choose Johnson (23%) or Stein (12%) when asked the four-way match up. Ahead of the town hall event, the Libertarian duo got a boost from former Republican Rep. Ron Paul of Texas. The Libertarian icon told CNN's Wolf Blitzer that although he hadn't decided who he would vote for, it wouldn't be Trump or Clinton. 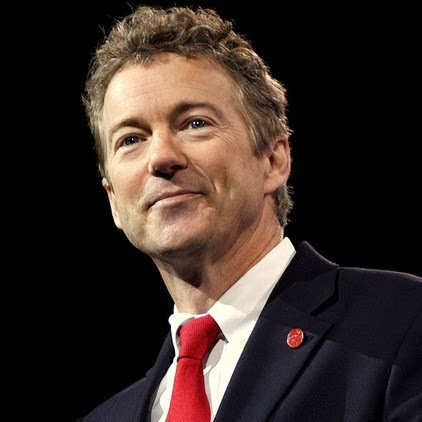 "I think people who say they want significant change, they want to protect individual liberty, are concerned about the Constitution, they should think seriously about voting for a Libertarian principle," Paul said. At 15% in the polls they have to be included in the debates. If you want to see Trump, Clinton, and Johnson head to head on the issues then share news articles. Tweet about #JohnsonWeld2016. Do what you can to help them gain traction. "[Trump] has succeeded in tapping into the very worst political traditions of the United States and other countries," Weld said. If I had been the one answering that question I would have asked Morella if she thought her son should also be on jail, after the harm drugs had done to him. Since that's what we're really talking about here, is jailing people for crimes that have already hurt them and their families. It is my opinion that the war on drugs has done nothing but fill jail cells and cost the taxpayers money that could be better spent on rehabilitation and treatment. Adding to his anti-Washington message, he said a total simplification of the U.S. tax code would mean that "80% of Washington lobbysits would go away. Because that's why they're there, to garner special tax favor." It's come to my attention recently that many of my friends don't seem to understand how voting WORKS. Which is terrifying, since most of them are voters. It appears a little elementary school history lesson is in order. Here's the thing. You don't choose who the next president is going to be. None of us do. Our votes "count" but not if the electoral college disagrees. (The electoral college is a process btw NOT a place). The founding fathers established this process in the Constitution as a compromise between election of the President by a vote in Congress and election of the President by a popular vote of qualified citizens. Each State is allocated a number of Electors equal to the number of its U.S. Senators (always 2) plus the number of its U.S. Representatives (which may change each decade according to the size of each State's population as determined in the Census). The political parties (or independent candidates) in each State submit to the State's chief election official a list of individuals pledged to their candidate for president and equal in number to the State's electoral vote. Usually, the major political parties select these individuals in their State party conventions while third parties and independent candidates merely designate theirs. After their caucuses and primaries, the major parties nominate their candidates for president and vice president in their national conventions - traditionally held in the summer preceding the election. (Third parties and independent candidates follow different procedures according to the individual State laws). The names of the duly nominated candidates are then officially submitted to each State's chief election official so that they might appear on the general election ballot. Whichever party slate wins the most popular votes in the State becomes that State's Electors - so that, in effect, whichever presidential ticket gets the most popular votes in a State wins all the Electors of that State. (The two exceptions to this are Maine and Nebraska where two Electors are chosen by a statewide popular vote and remainder by the popular vote within each Congressional district). On the Monday following the second Wednesday of December (as established in federal law) each State's Electors meet in their respective State capitals and cast their electoral votes - one for president and one for vice president. In order to prevent Electors from voting only for "favorite sons" of their home State, at least one of their votes must be for a person from outside their State (though this is seldom a problem since the parties have consistently nominated presidential and vice presidential candidate from different States). In the event that no one obtains an absolute majority of electoral votes for president, the U.S. House of Representatives (as the chamber closest to the people) selects the president from among the top three contenders with each State casting only one vote and an absolute majority of the States being required to elect. Similarly, if no one obtains an absolute majority for vice president, then the U.S. Senate makes the selection from among the top two contenders for that office. If you're still confused, you can learn more here.